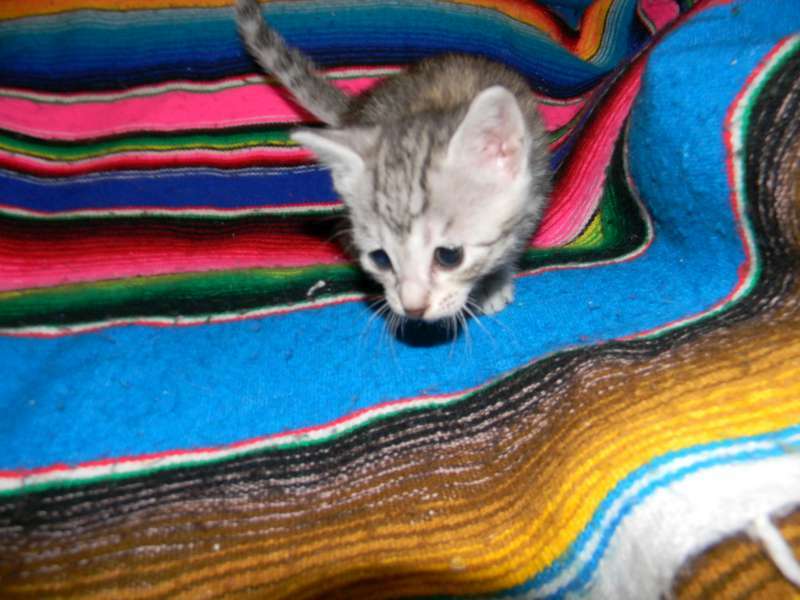 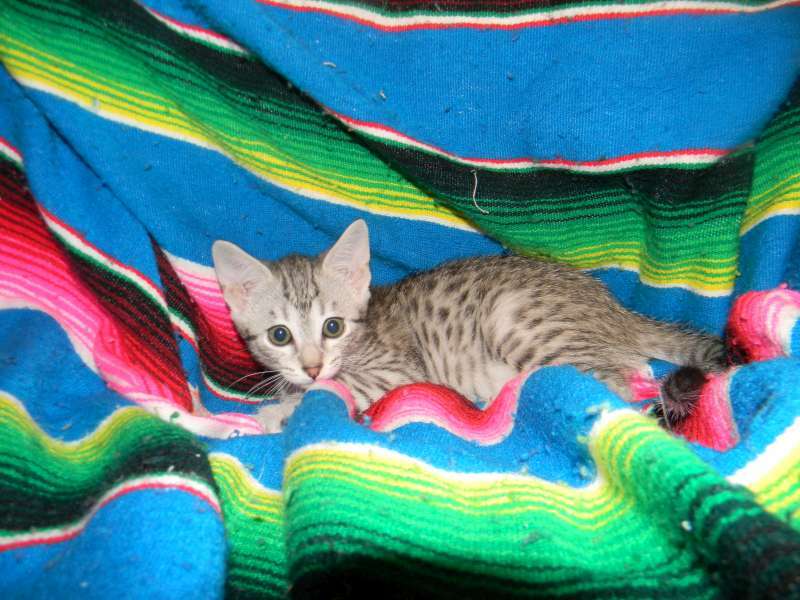 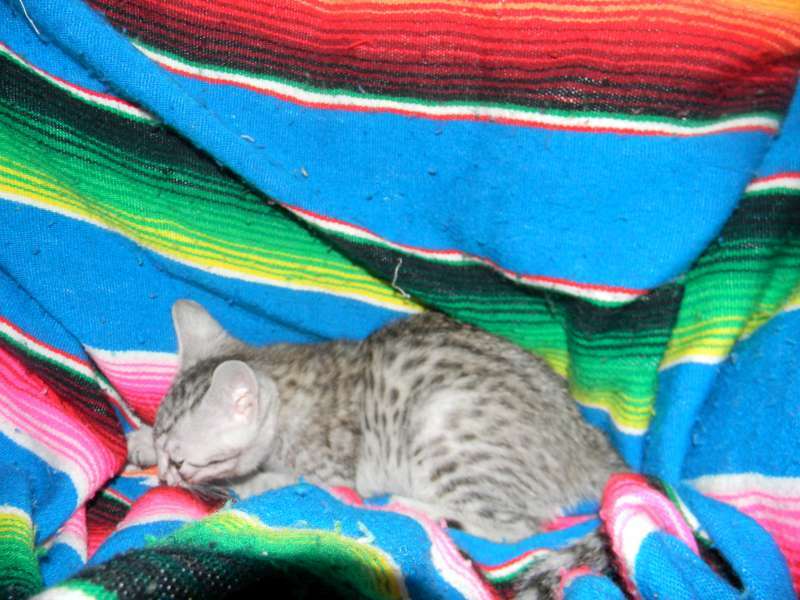 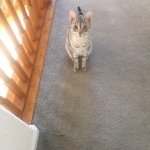 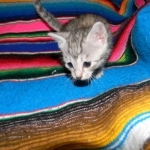 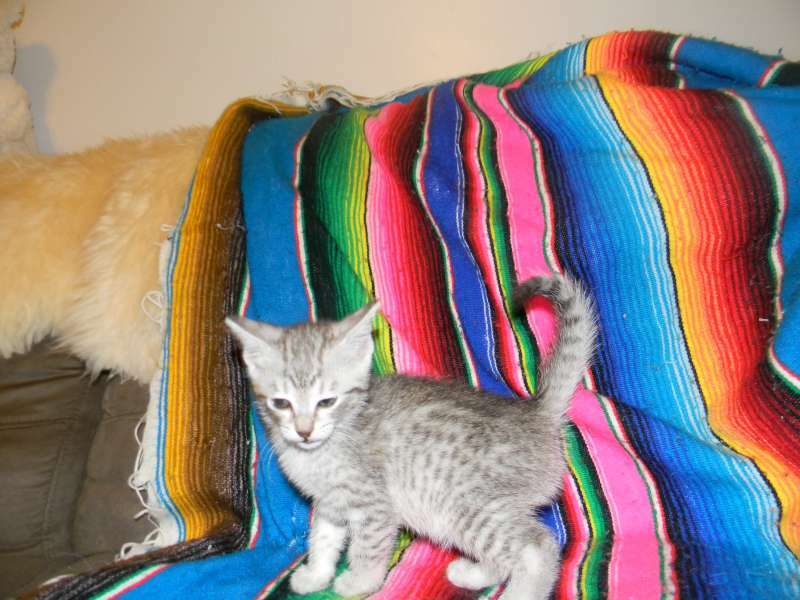 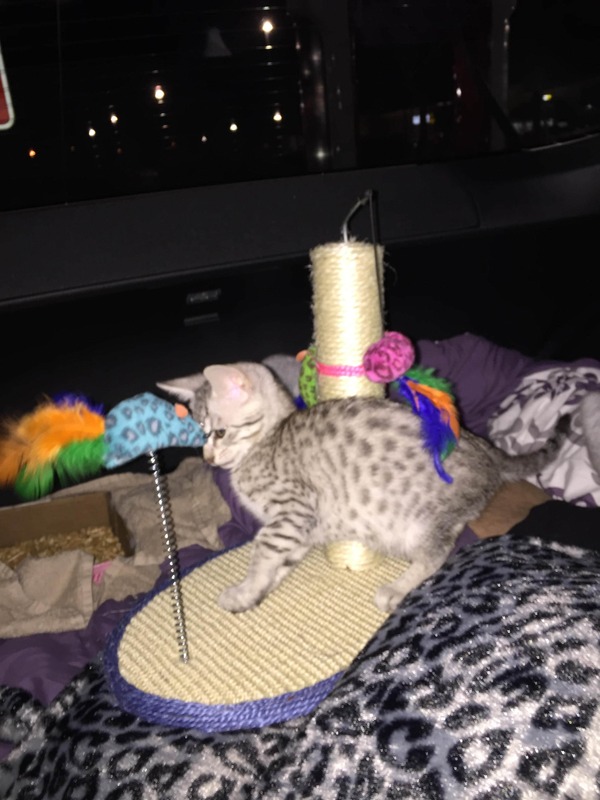 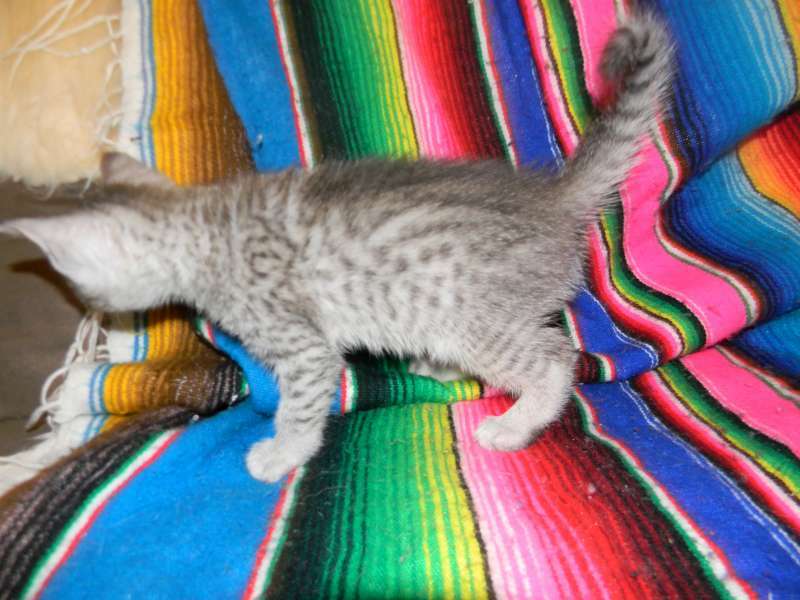 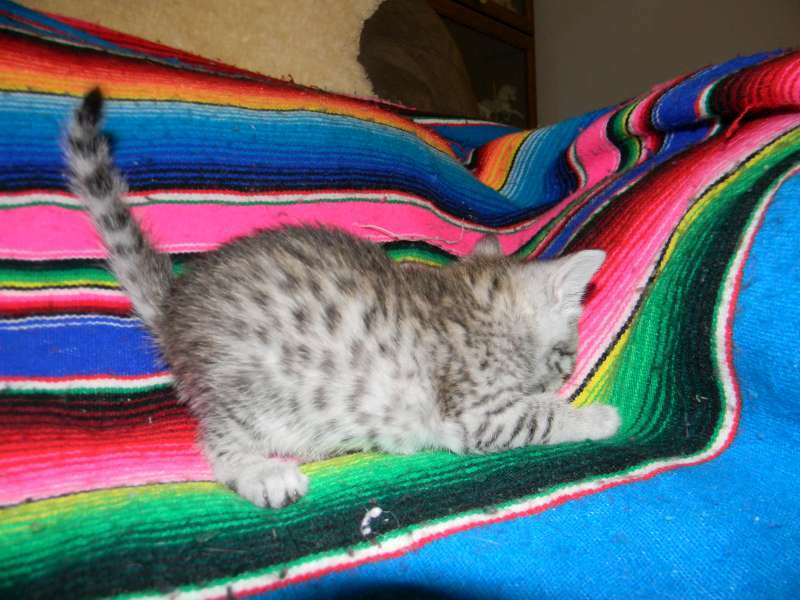 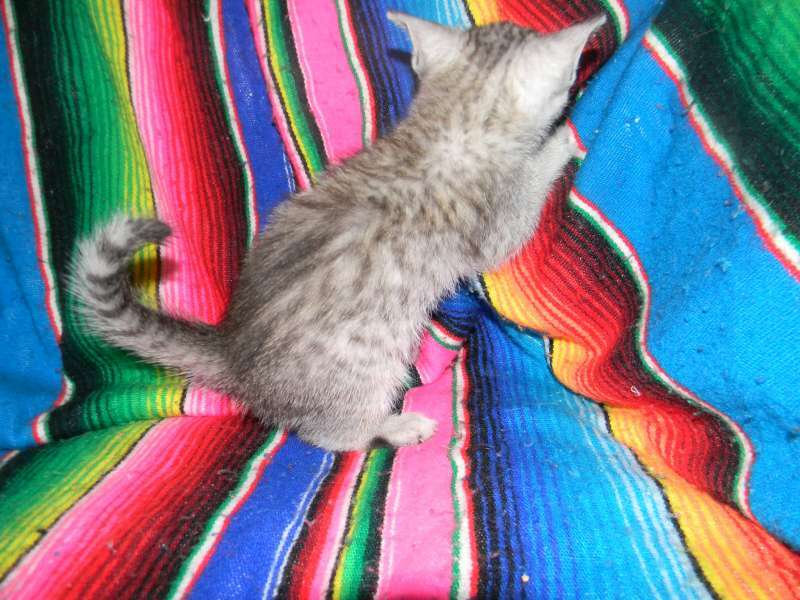 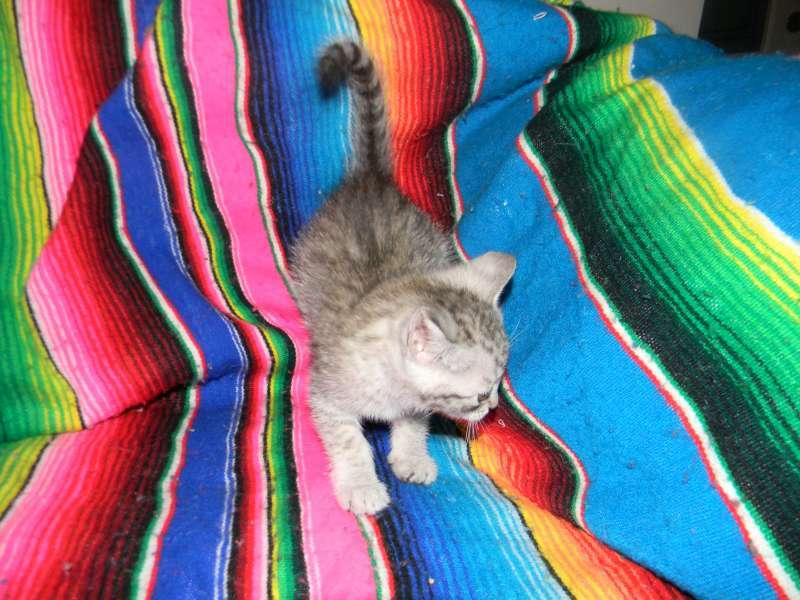 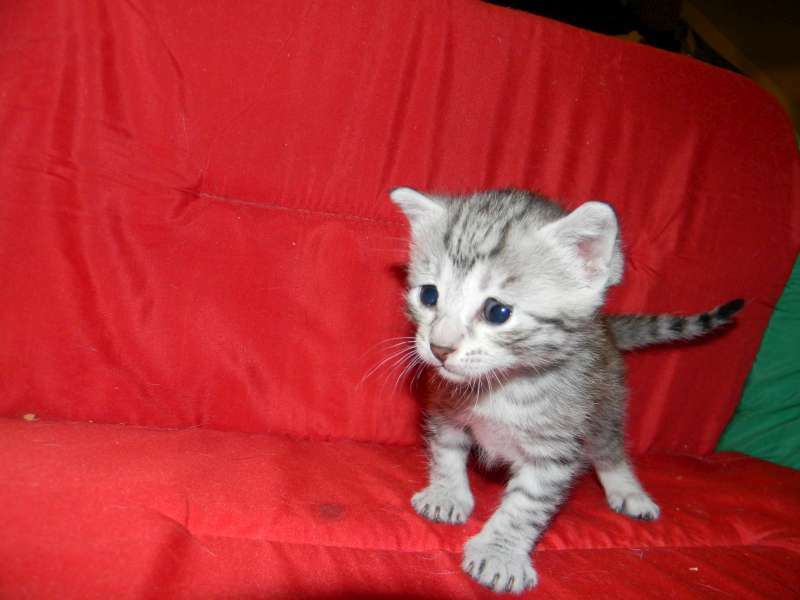 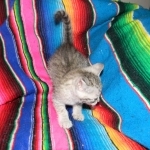 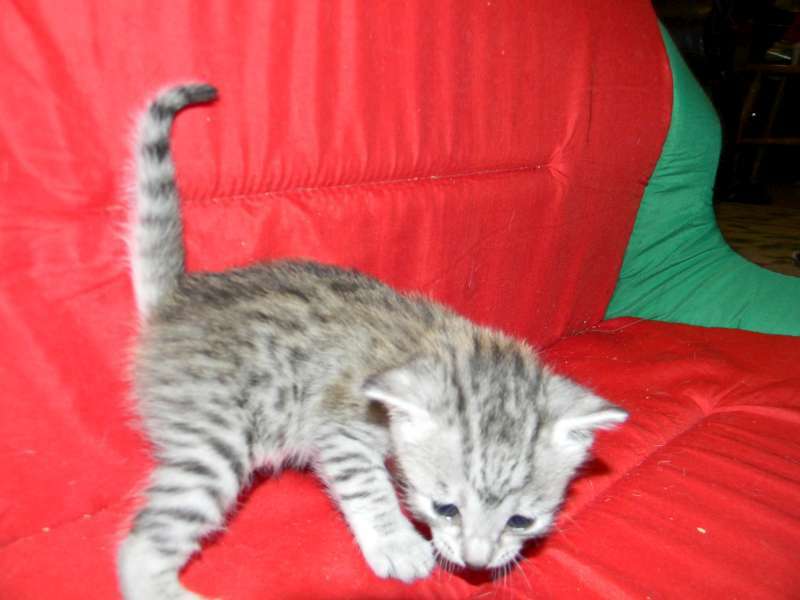 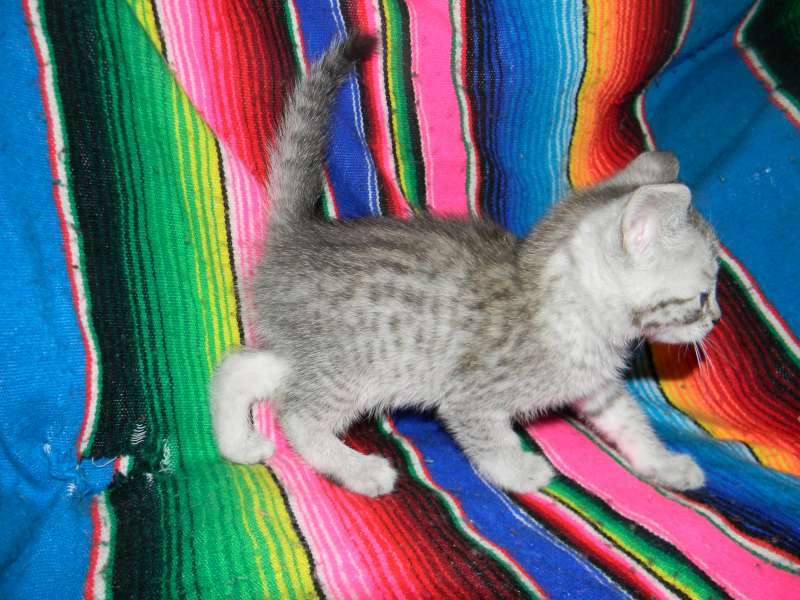 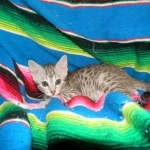 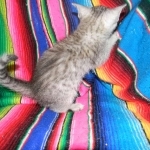 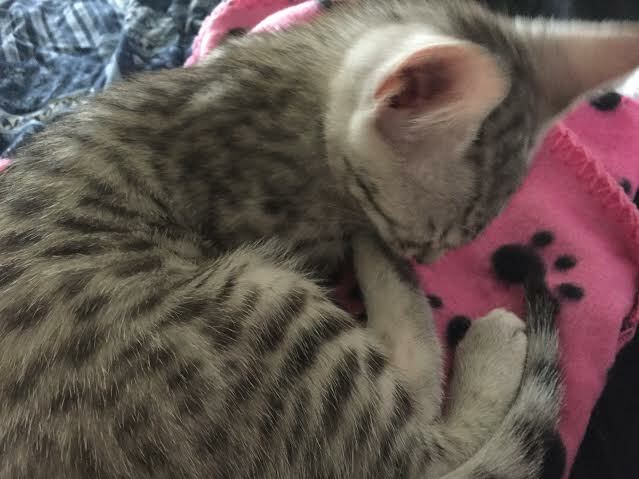 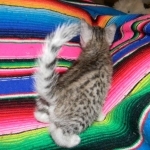 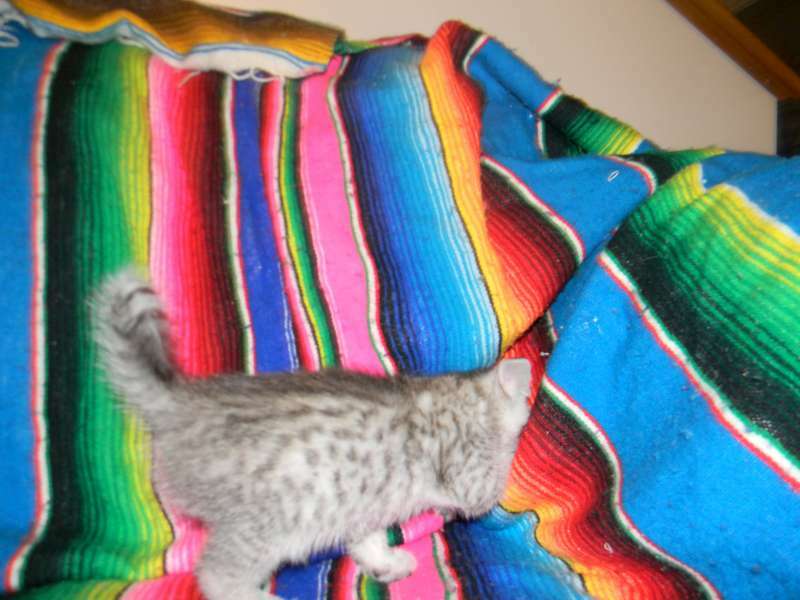 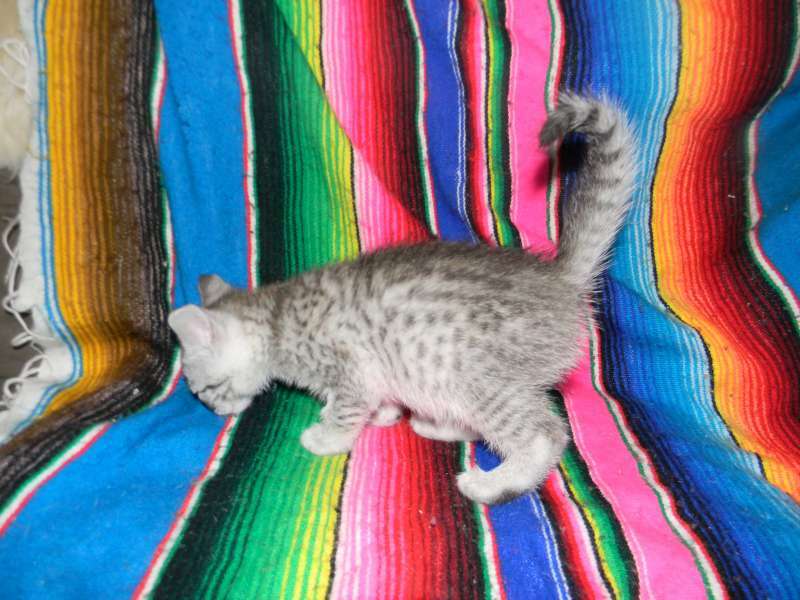 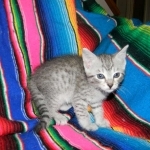 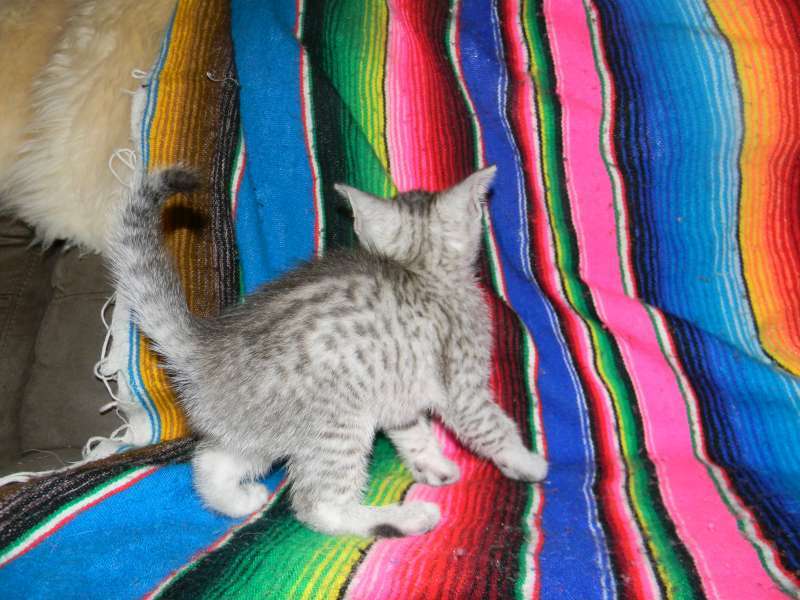 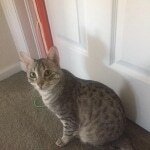 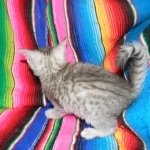 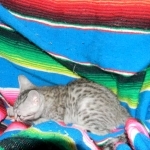 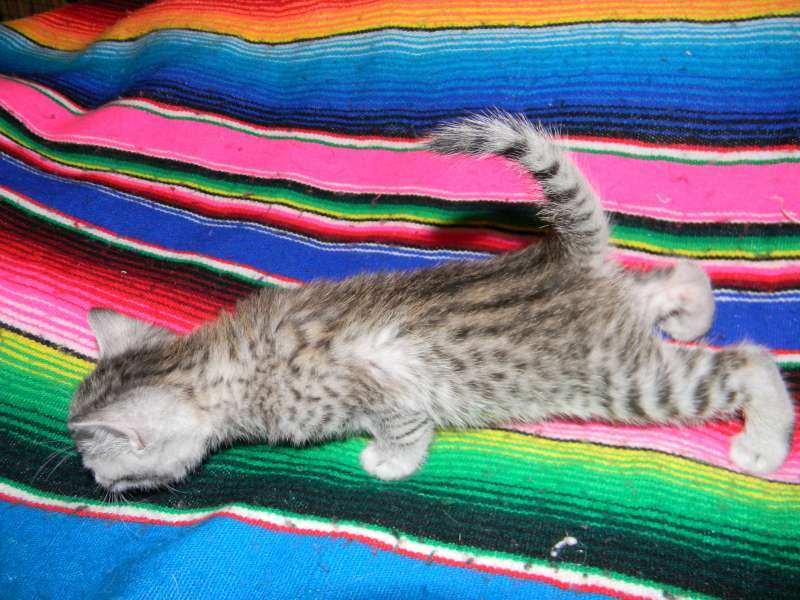 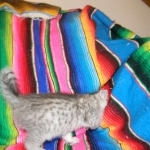 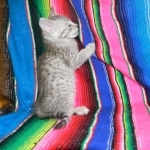 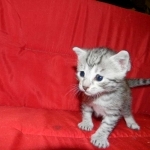 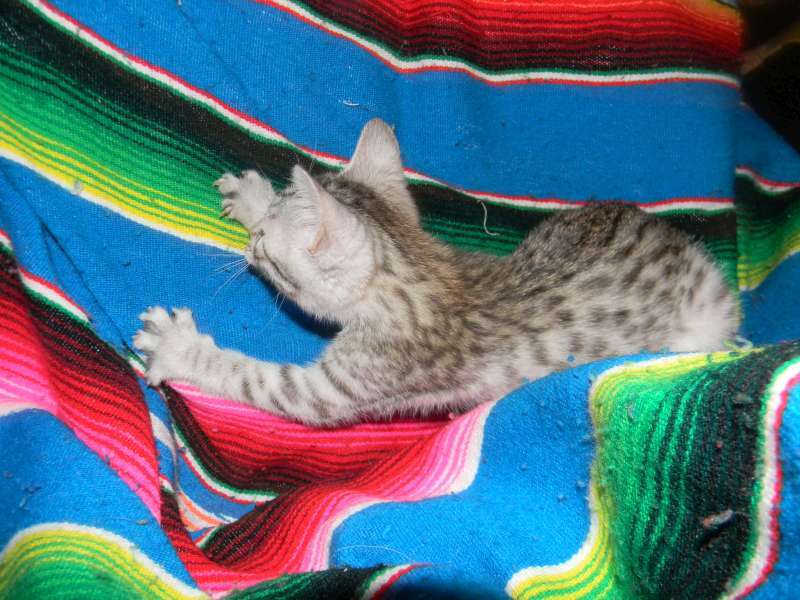 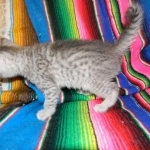 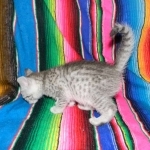 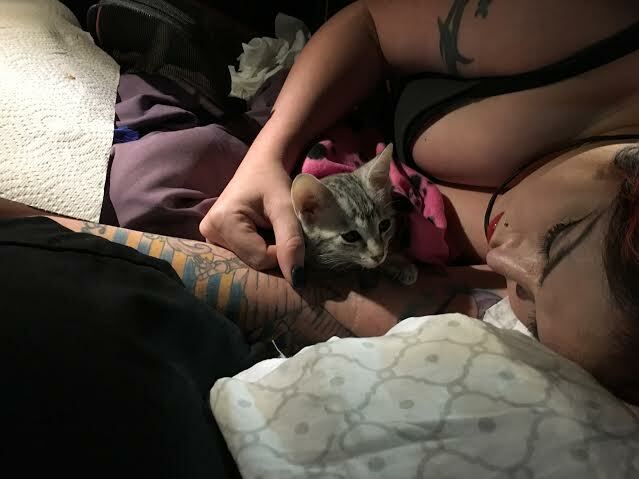 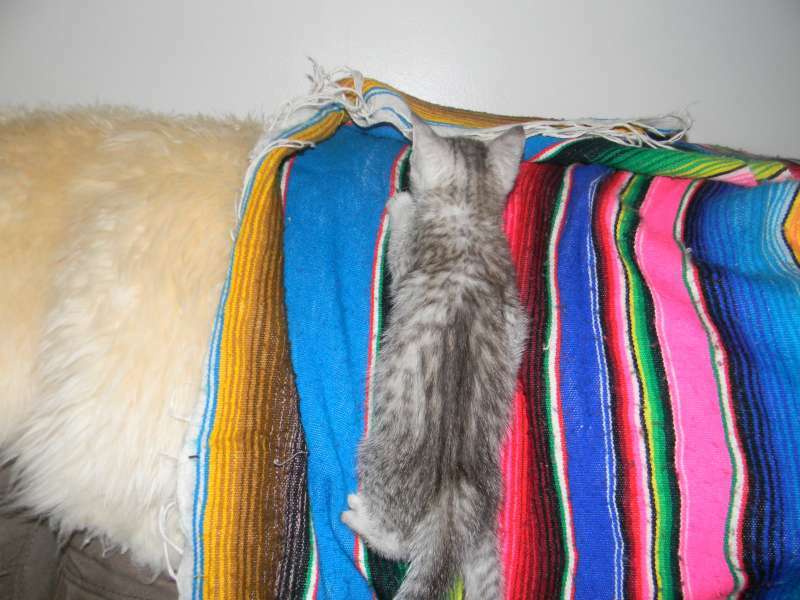 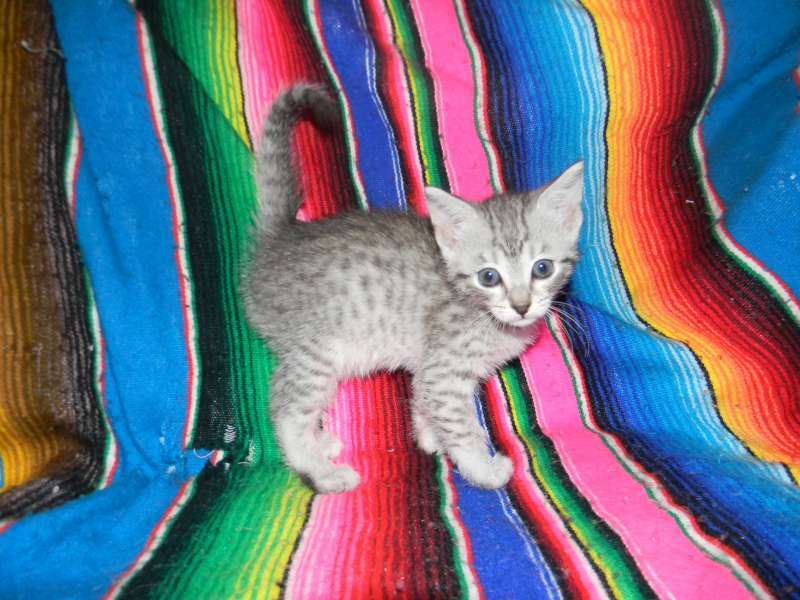 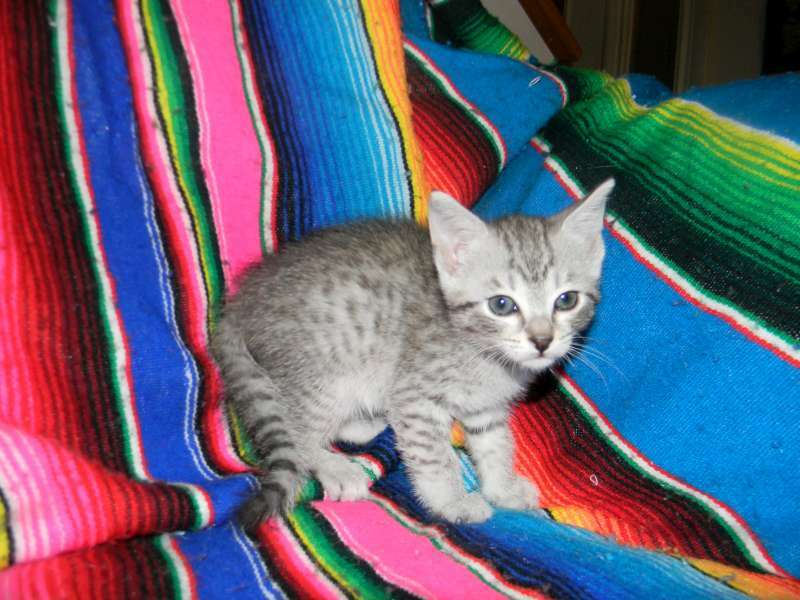 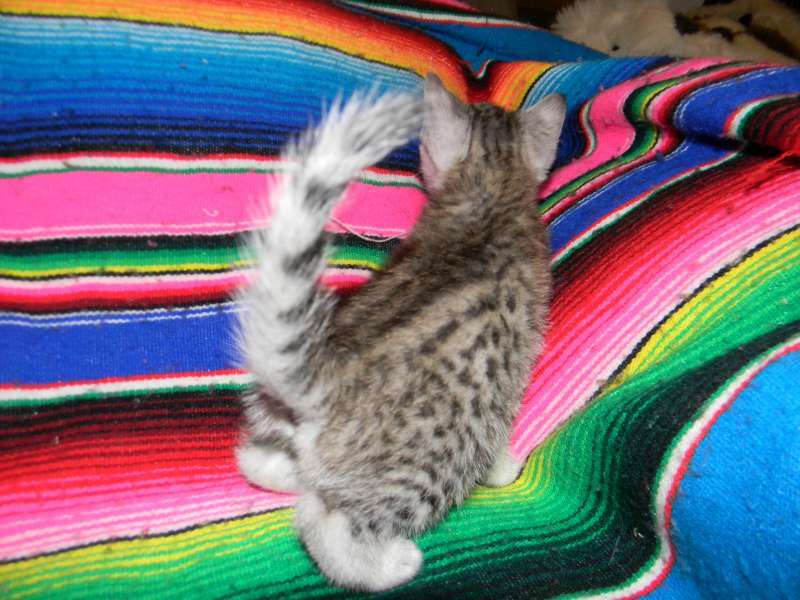 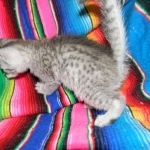 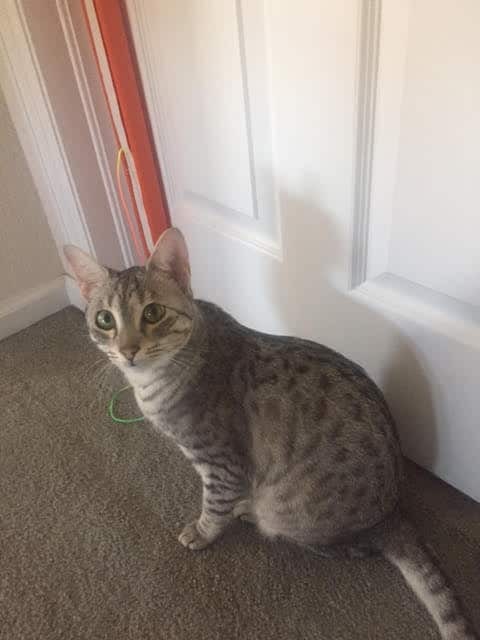 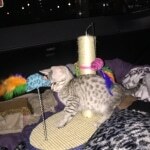 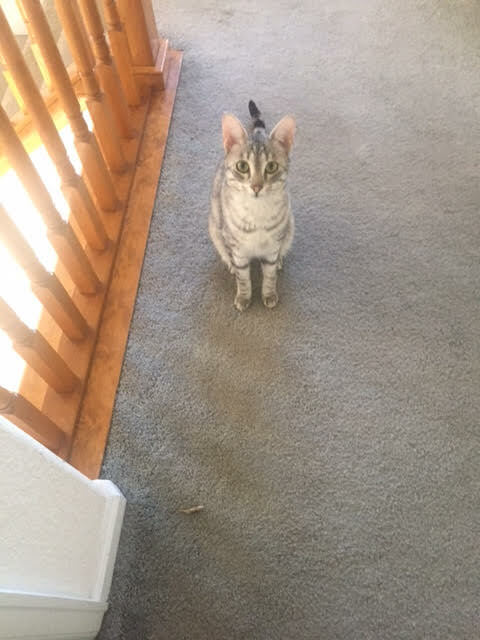 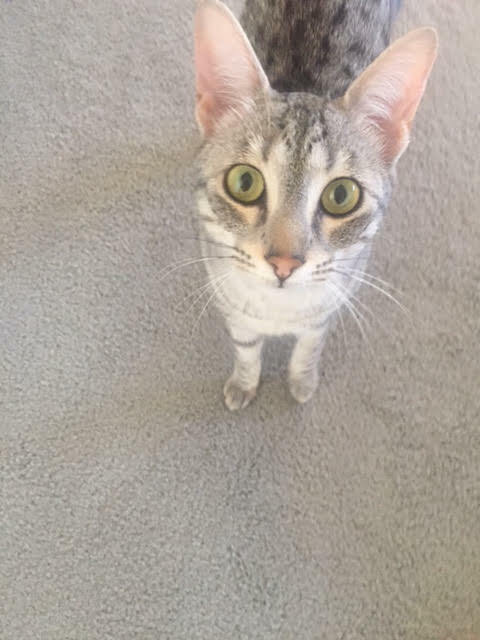 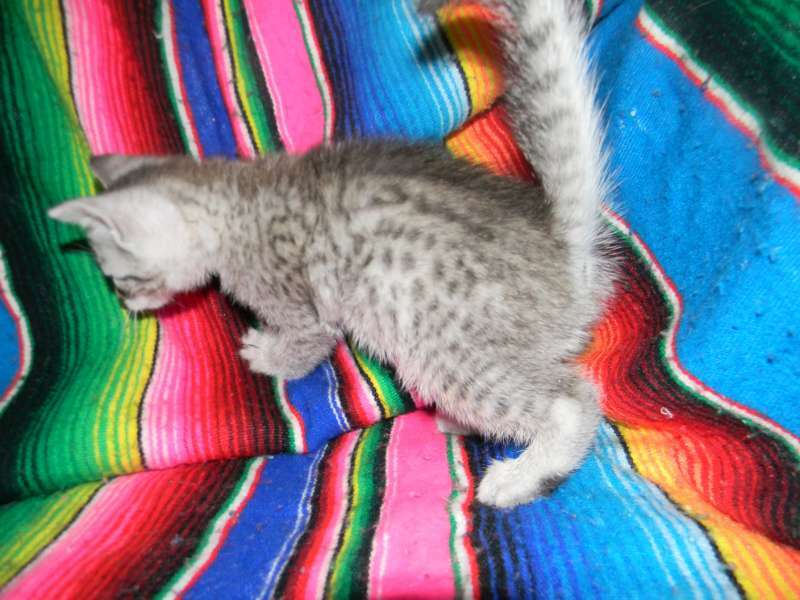 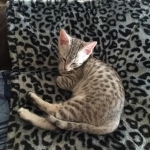 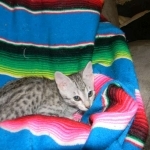 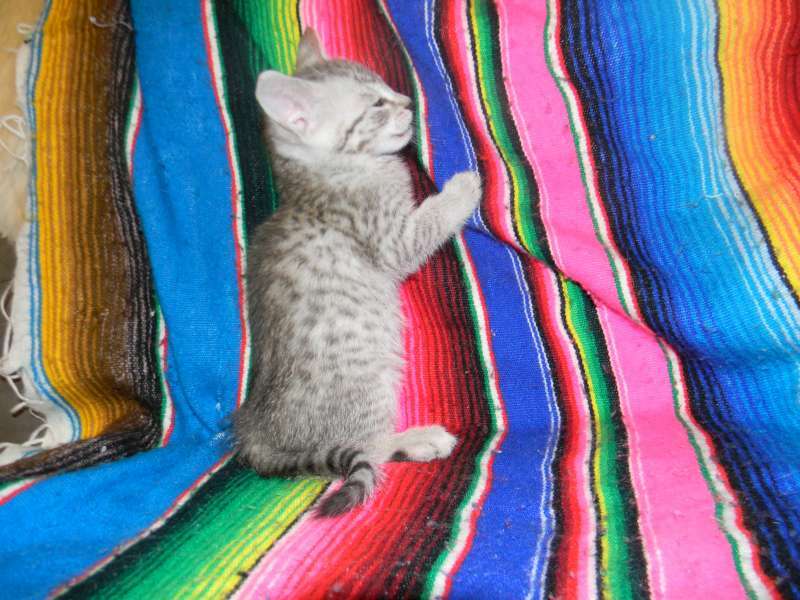 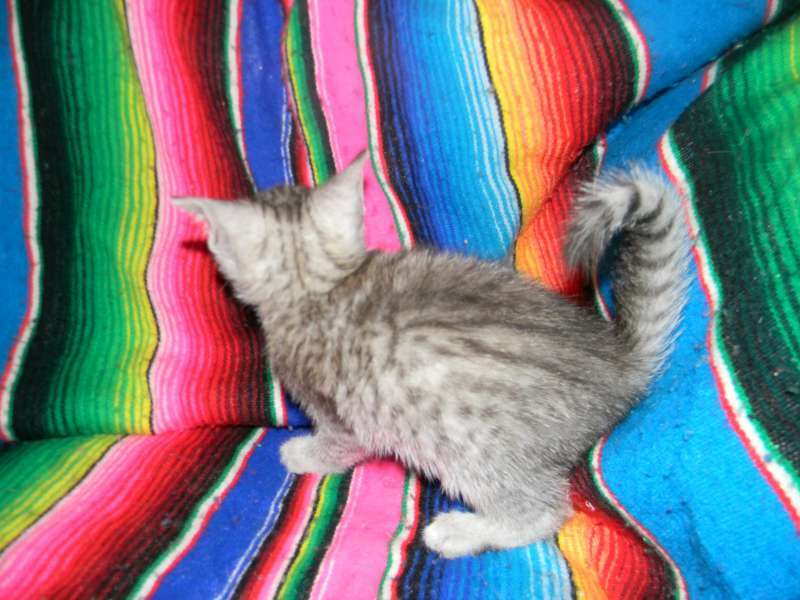 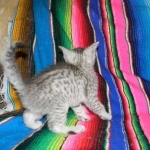 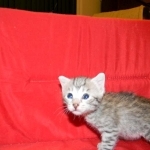 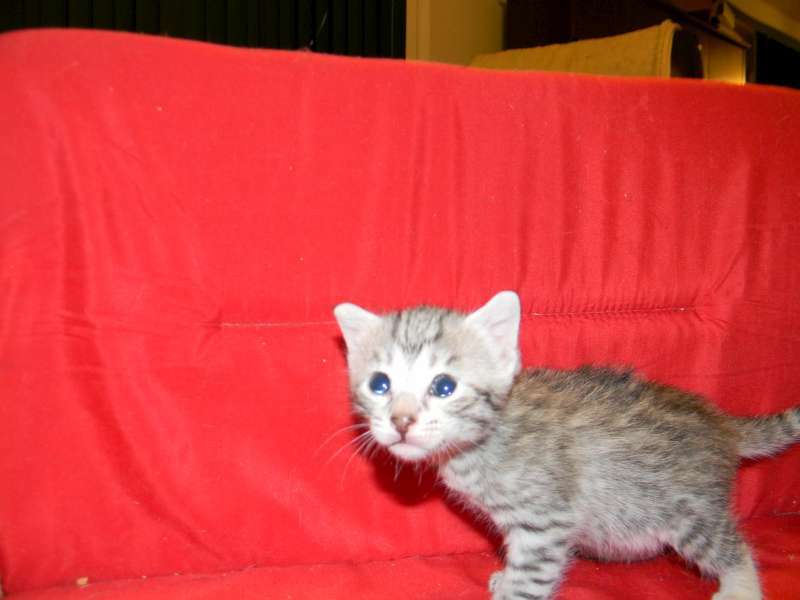 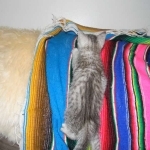 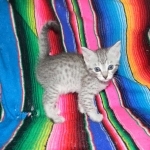 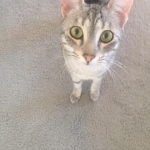 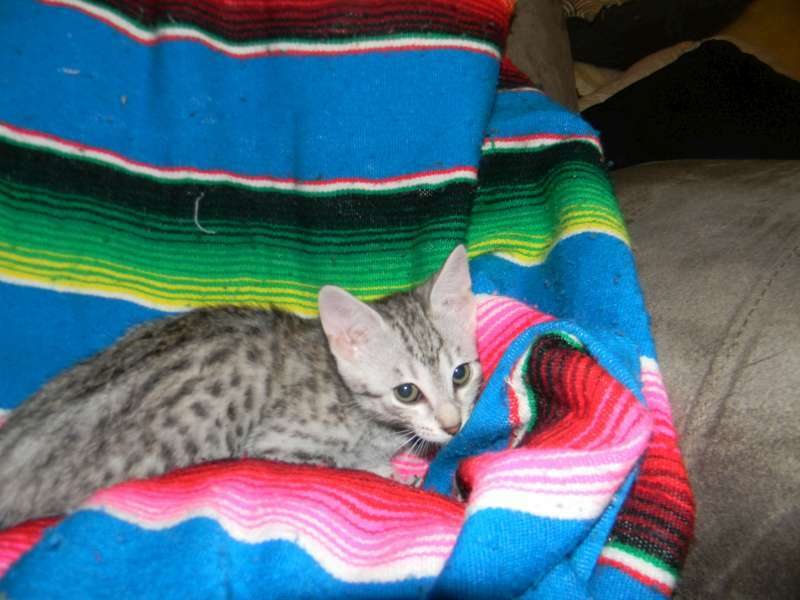 Just precious this silver savannah girl will make Shiva's heart go pitter patter. 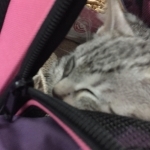 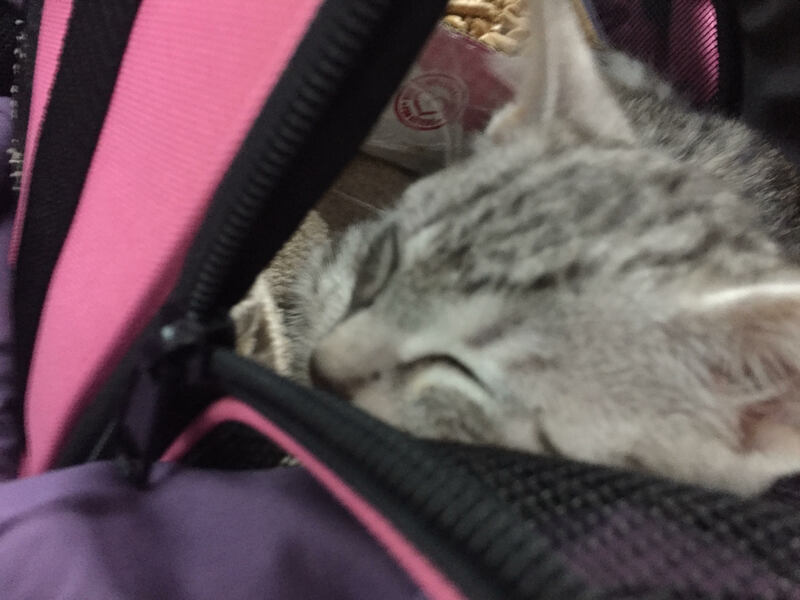 She will be going home as soon as she is old enough. 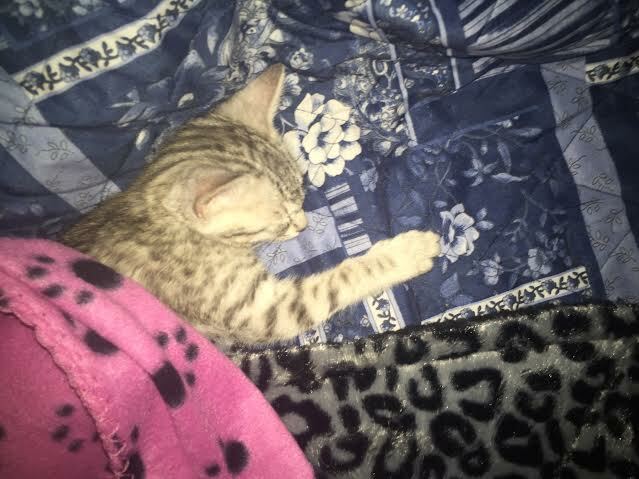 I love my new thermal blanket! 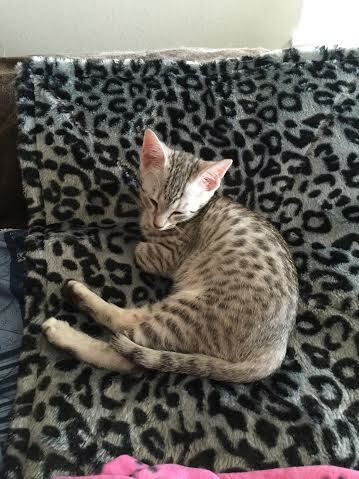 And hey, it's spotted like me! 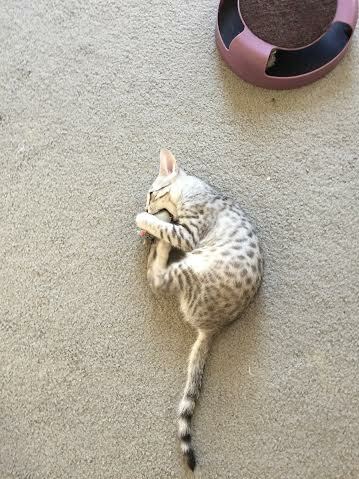 All tuckered out from,playing with my new toys and meeting my housemates from under the door. 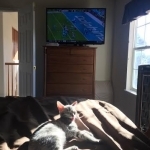 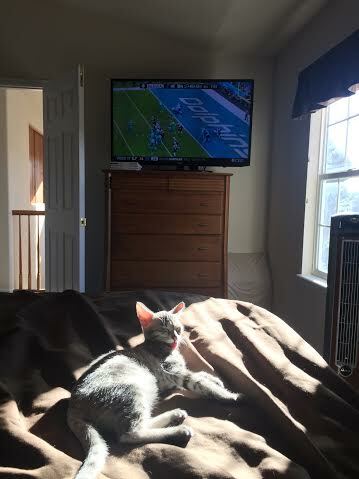 Bathing in the sun, she waits for the football game to start! 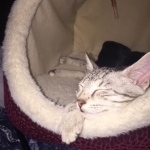 Fast asleep watching Despicable Me. 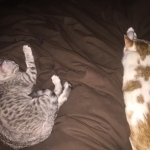 I love watching cartoons before bed. 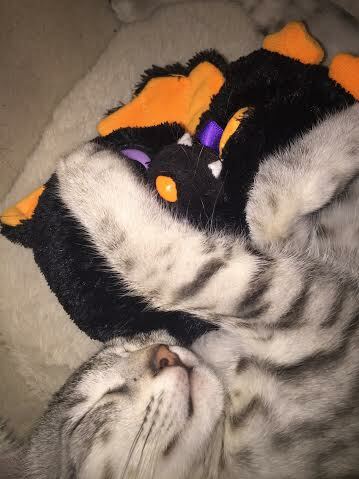 Asleep with my mummy's beanie bat. 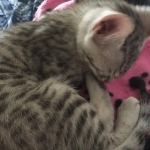 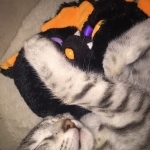 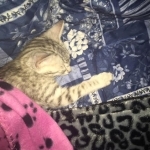 He's my sleeping buddy. 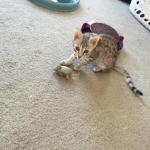 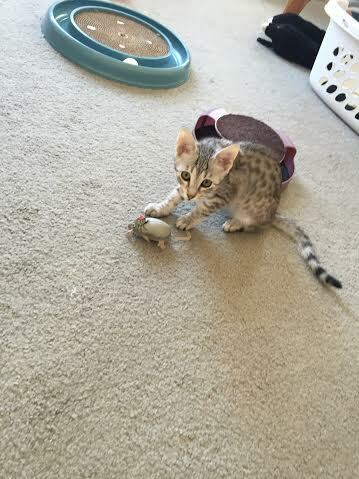 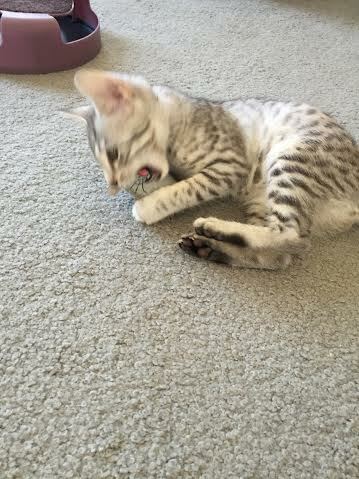 Playing with my favorite mousie! 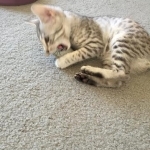 Grrr... 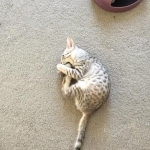 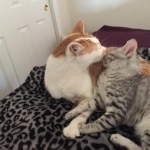 Biting his head should get the rattle going! 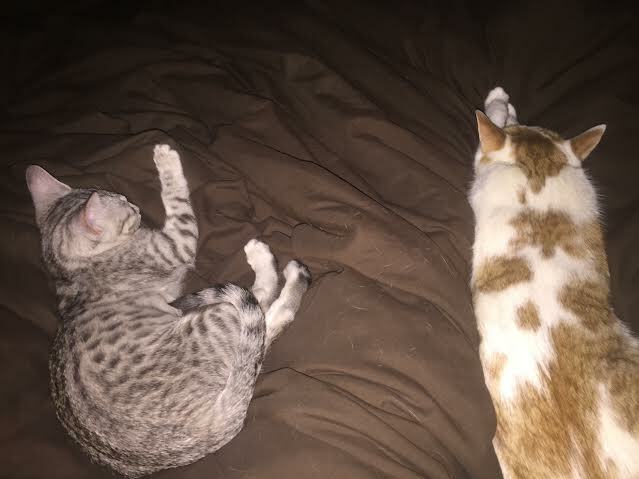 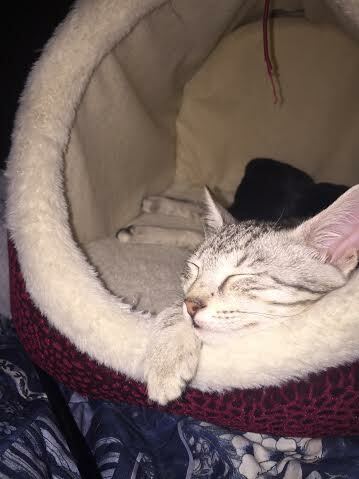 After playing with mousie and big brother Cayce all morning, we are ready for a nap. 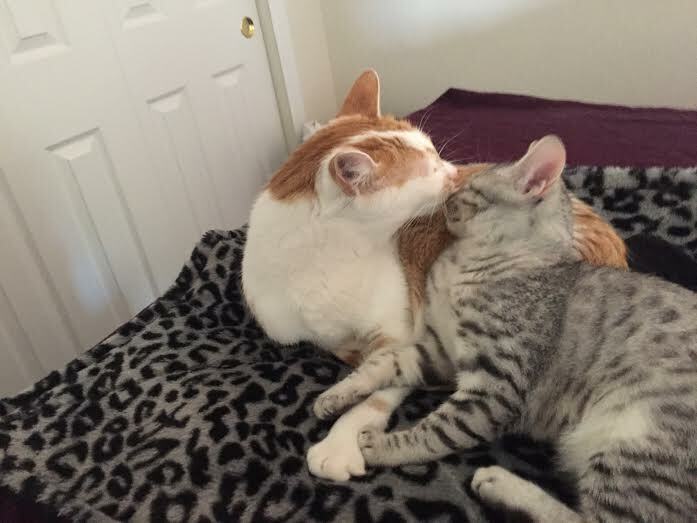 I ❤️ my new brother!